In the glorious chronicles of the US Marine Corps, no name is more revered than that of Lt. Gen. Lewis B. 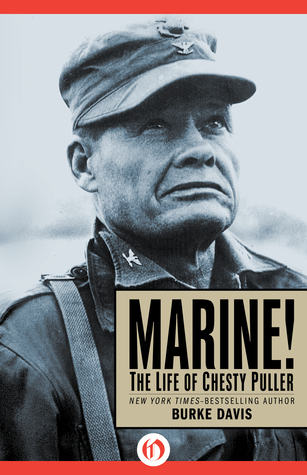 “Chesty” Puller. The only fighting man to be awarded the Navy Cross five separate times—a military honor second only to the Congressional Medal of Honor—he was the epitome of a professional soldier. A son of the South, descendant of Robert E. Lee, and cousin to George S. Patton, Puller began his enlisted career during World War I and moved up through the ranks as he proved his battlefield mettle in Haiti and Nicaragua, with the Horse Marines in Peking, in the Pacific Theater of World War II, and in the nightmarish winter engagements of the Korean War. Fearless and seemingly indestructible, adored by the troops he championed yet forced into early retirement by a high command that resented his “lowly” beginnings and unwillingness to play politics, Puller remains one of most towering figures in American military history. Bestselling military biographer Burke Davis paints the definitive portrait of this extraordinary marine hero.